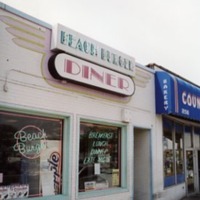 A photograph of the exterior of Beach Burger Diner located on Park Avenue in Long Beach. 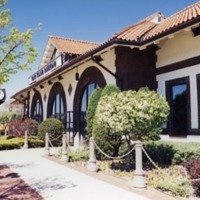 The building's theme is in the Art Deco style. 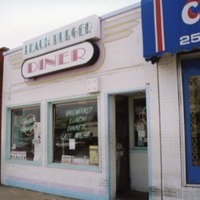 A photograph of the exterior of the Beach Burger Diner located on Park Avenue in Long Beach. The building's theme is in the Art Deco style. 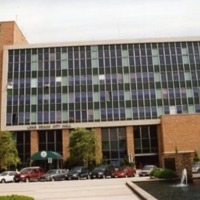 A photograph of the exterior of Long Beach City Hall located at Park Blvd. Aerial view of the Long Beach Bridge. 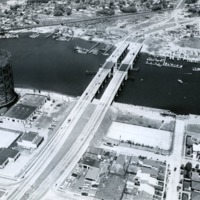 Aerial view of the Long Beach Bridge, looking north.